The inspiration for our hop is the beautiful quote above along with our relationship with our own grandmother. I admit that this was a difficult card for me to make. My paternal grandmother passed away on my birthday last year and being pregnant and sick, I was not able to travel home to say goodbye. 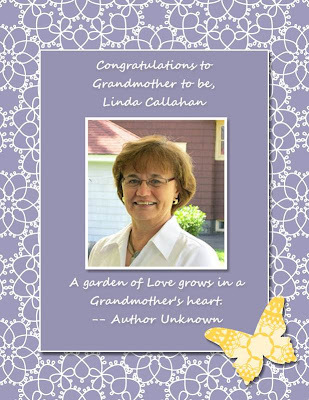 She was truly an amazing woman who was more like a second mom to me and I hope this card honors both her memory and celebrates my happiness for Linda. There's so much inspiration from my grandmother (or Mamaw as we called her) in this card. 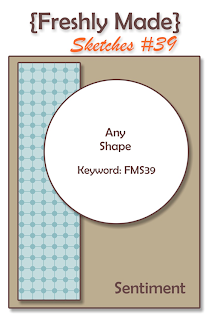 She passed on her love of quilts to me, so I chose to make a Top-Note quilt card. One of my cherished possessions is a handmade quilt that she and my Papaw were given for their 50th wedding anniversary. I am thankful that she gave it to me while I was still able to say thank you. Another element is the flower stamp; growing up she always had a beautiful flower garden that we "helped" with each year. She grew Marigolds and we would help her dry the flowers and save the seeds for next year's planting. Finally, the button... Mamaw always had this tin of buttons in her cabinet and as a child, they were my favorite thing to play with. A few Christmases ago I was gifted a jar of buttons from that tin. The button featured on here is one of them. There's such a variety in my jar, so I hope to use them on special cards like this now and then. So that's my card and my inspiration. I hope Linda will like this card...and I hope I can find time to put it in the mail! She inspired a piece on it, the "turkey platter". One of her posts called the embossed oval a turkey platter and it makes me laugh each time I use it! I just had to put it on my card. :) Congratulations, Linda! I'm so excited for you and your family. 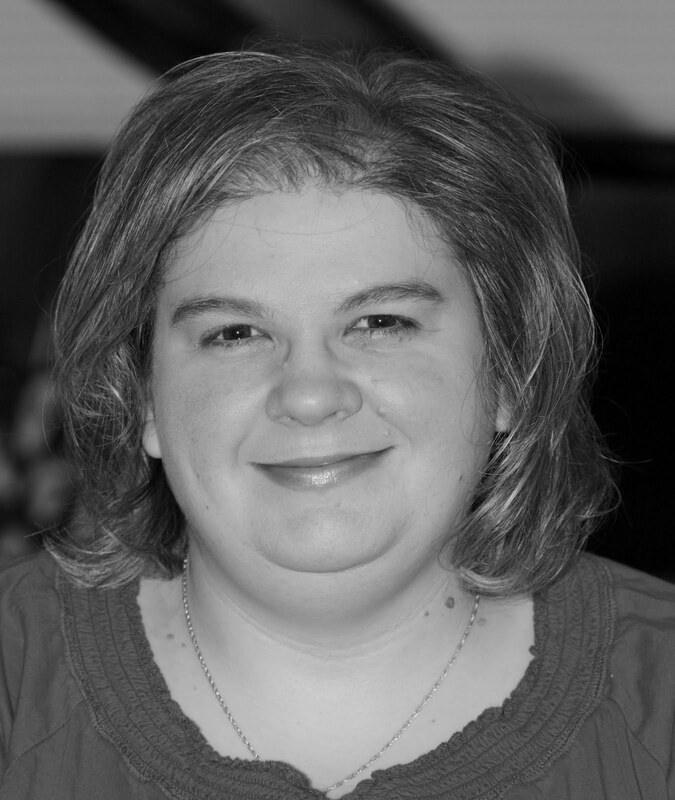 Be sure to hop on over to the other blogs if you haven't been there already! Also stop by Linda's blog and offer up some congratulations and any grandmotherly advice you might have to share! At 3:38pm yesterday the doctor delivered this lovely little girl. I probably shouldn't say little since she weighed in at 8 pounds 9 ounces and was 21 inches long! We had no idea she was going to be quite so big. :) We are totally in love with her even though she kept us up ALL NIGHT last night. Now that she's sleeping peacefully today, everyone and their mom is coming in to do something in our room so there's no rest for us. I'm just crossing my fingers that we can go home tomorrow and maybe sleep then. I didn't get to stamp today and probably won't tomorrow, so I thought I'd share a few nursery pictures before we headed to the hospital on Wednesday. I have no idea when I'll be back with a card, but hopefully I'll have some baby pictures to share by the weekend! Laila's bag is packed and ready to go. I really hope her coming home outfit won't be too big! We are taking some newborn sized stuff just in case, but it won't be as cute as this little dress that we both love. Our rocking and reading corner. She's been so lucky to have received almost a bookshelf full of books! I hope she loves reading as much as I do! I braved IKEA yesterday and found this cute lamp. I love it. Notice the gorgeous MDS framed art made by my awesome friend, Mindy! One of my Pinterest-inspried crafts, fabric covered embroidery hoops. The dresser/changing table area. I love that it can grow with her and become a desk later. I hope she'll stamp on it one day! So we are ready! Just need the baby. :) Thanks for all the support and all the wonderful comments about my work for the past few weeks. I had a nice run of mojo here at the end and had a blast creating. I hope it won't be too long before I can find myself back in my room stamping. I'm lucky that Jason works 3 days a week and is a hands-on dad. I should have some "me time" once I feel like I can sit comfortably! 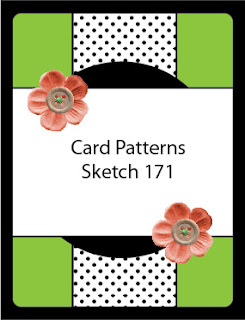 Last night I started a card using this fun sketch from Card Patterns but tired out before I could finished it. I was able to finish it this morning since I was up at 4am. I hate that I can't sleep these last few days that I actually can, but what can you do? I think this baby girl is already getting me on a schedule to wake up every 2 hours and I'm helpless to stop her. lol Anyway... I pulled the colors from an old colourQ challenge and used a few of my new goodies to make this one. 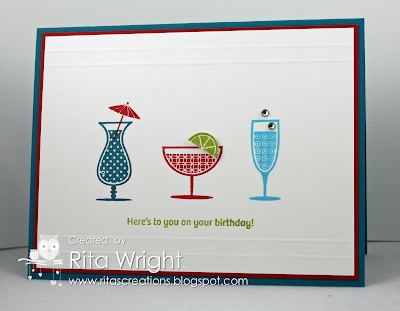 I'm still figuring out my new Summer Silhouettes stamp set. I'm thinking it might be one I should have bought in wood. I tried to eyeball the little turquoise flowers and didn't get them where I wanted them. 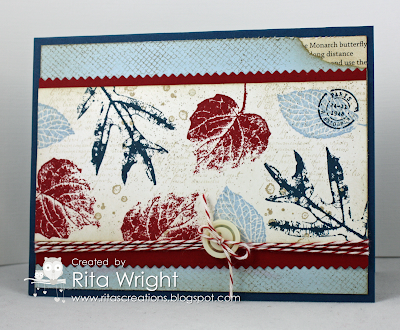 I should know by now that I need my Stamp-a-ma-jig for everything or else I'll not be happy with how it turns out! Close is only good in horseshoes, NOT stamping. :) I paired it with an awesome new butterfly from Papillon Potpourri and a neutral gray button. 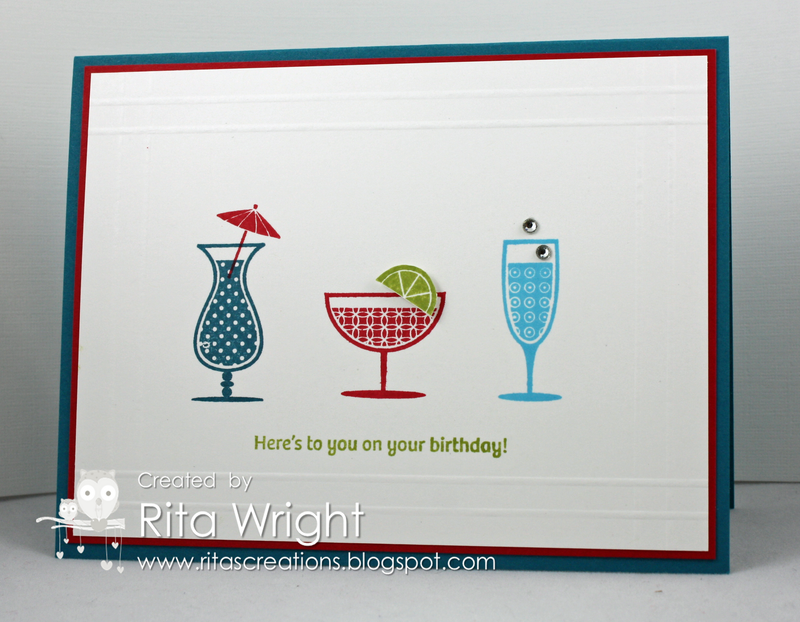 Pretty simple card, but a fun one for summer I think! I think I must have used up all my mojo for the month over the past few weeks! :( This week has been a total bust, but today I decided I needed to try to stamp something. I didn't see a current challenge that spoke to me, so I grabbed the Color Coach, picked a set of colors, and then grabbed a stamp set. I didn't have anything in mind to make, but after playing around a little, here's what I came up with. I had planned to use more of my new goodies, but French Foliage was looking a bit sad on my shelf. I decided to show it some love today. It is one of my favorite sets but it's more of a fall set...normally. :) We'll just pretend that there are blue leaves somewhere, okay? I did manage to get one new product on here, the Finishing Touches edgelits. I thought this one would look perfect with the Netting background. So yay me, I stamped! 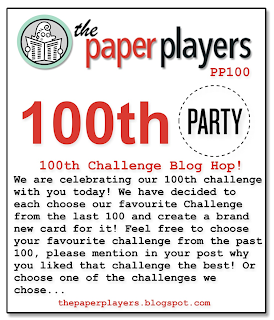 My wonderful friends at The Paper Players are celebrating their 100th challenge this week! Back in May of last year, they were kind enough to ask me to serve as a guest designer and things have only gotten better for me since then. I am so thankful to them for giving me a chance at being on a design team. 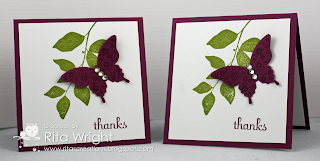 I know it has made a huge difference in my stamping abilities and has motivated me to increase my skills and try other challenges. Love you ladies and congratulations on this huge milestone! 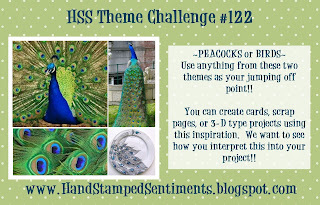 My first challenge as a guest designer was challenge #45, a theme challenge from LeAnne and asked us to use Birds, Bees, Flowers, and Trees. I thought it was only fitting that I go back and do this one. :) I had more new products that I wanted to try out, so I pulled them out and got to work! First I used the amazing Natural Compositions Designer Paper for the cool background you see. That stuff is awesome! 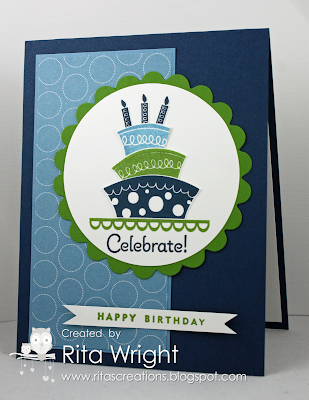 It's an easy and mess-free way to do some cool emboss resist. 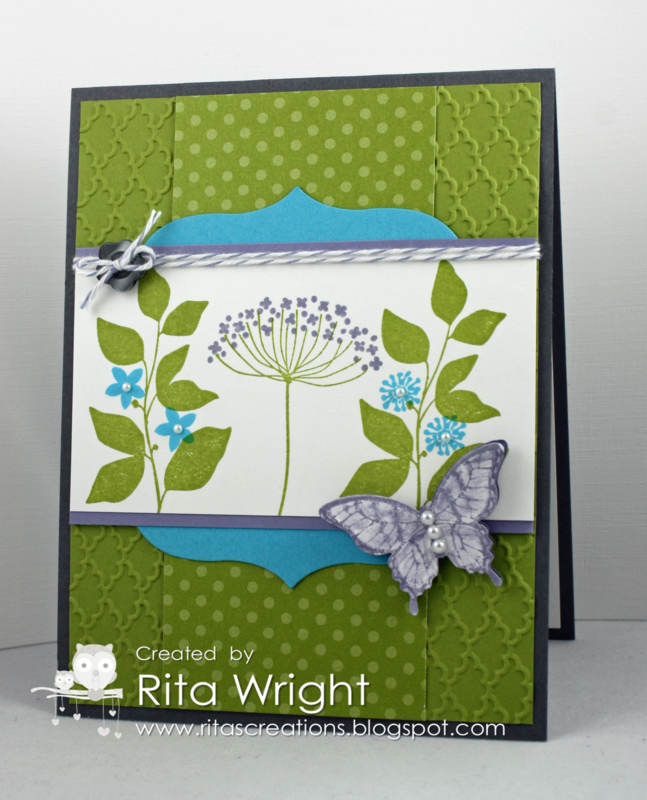 I think it looks great with one of the new in colors, Midnight Muse and one of my favorite new stamp sets, Summer Silhouettes. This style and color combination are way, way, WAY outside my comfort zone, but the Color Coach recommended them and I thought I'd go with it! Not a typical Rita card using bright colors and cute stamps, but I hope you'll like it anyway. Last night I figured out around bedtime that I didn't have any clean pants to wear to the doctor today. Last minute washing meant I had to stay up and wait to dry them, so I decided to stamp a bit while I waited. 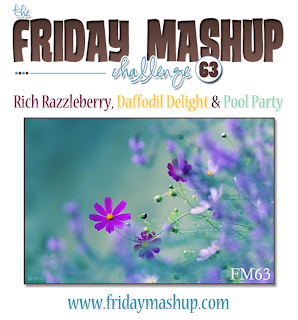 I wanted to play along with my buddies over at The Friday Mashup so I used the colors from the latest challenge along with the sketch from the Sweet Sunday Sketch challenge. 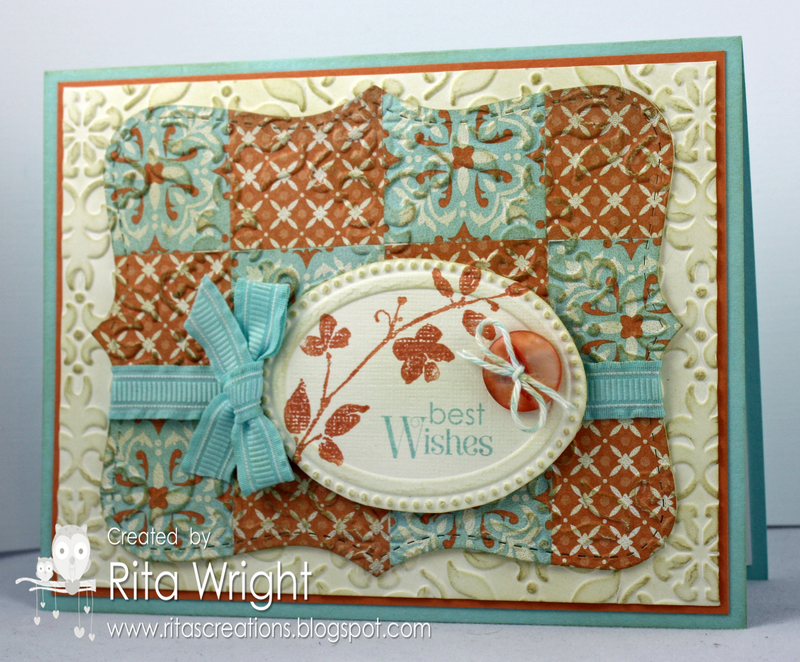 I thought they would work well together for my new favorite stamp set, Topsy-Turvy Celebration! Sunday mornings are a favorite of mine and I am up early enjoying the next to last one I have before Laila arrives. I can't help but wonder if she'll be an early bird like me or sleep in like Jason. Since I've craved all the foods that HE likes, I'm thinking she's going to be like her daddy. :) I had wanted to stamp last night but we started watching Game of Thrones and then I got caught up reading Abraham Lincoln Vampire Hunter (I know! What?!). Thankfully I still remembered the card I wanted to make when I woke up this morning. 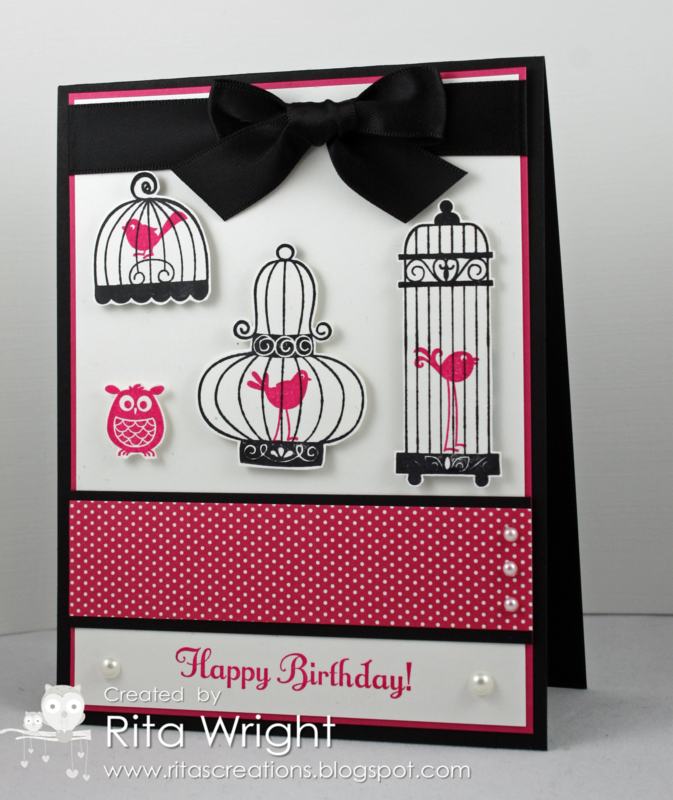 It combines the fun colors at Dynamic Duos with the bird challenge at Hand Stamped Sentiments. Something I learned while making this... Staz-On before 8am is not necessarily a good idea, nor is fussy cutting. :) I powered through my issues and finished it though. 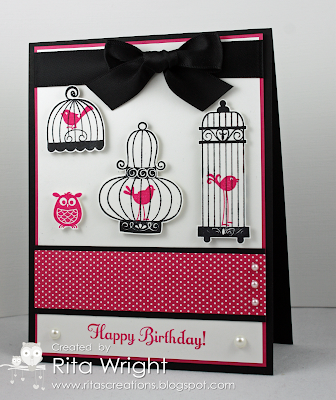 Aviary is one of those sets that had been on my wishlist for ages and ages and I finally got it on my last order. I just love how cute it is! I love it in these colors too! 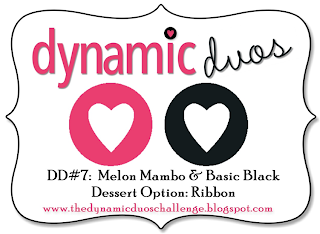 Off topic, but does anyone else always want to call it Mambo Melon or is that just me? The UPS man showed up yesterday...well, last night at 7:30pm!...with a box of goodies for me and my club ladies. I was impatiently waiting for him as I really wanted to play with some new stamps! I was a good girl and made thank you notes for my orders (see below) before I pulled out some new inks, paper, and stamp set to play. Insomnia paid off last night as I was piecing together my cake around 1am! 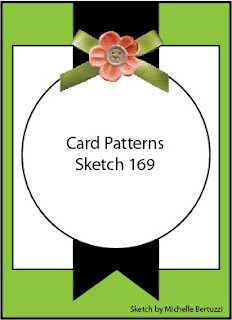 I used the great sketch from Freshly Made Sketches this week as the guide for my card. I just adore funky cakes, so Topsy-Turvy Celebration was one of the new stamp sets that I was really drawn to in the new catalog. It is just so whimsical and FUN! I also used another product I was looking forward to, the Polka Dot Parade DSP. I'm a big fan of bright colors and that paper has plenty of them! The Color Coach had me pairing up 2 of the new in colors with an old favorite for this one: Marina Mist, Midnight Muse, and Gumball Green. Don't they look great together? I think it might be my new favorite color combination! Here's a quick picture of the little thank you notes I whipped up last night. They use two new sets, Summer Silhouettes and Papillon Potpourri, along with the Elegant Butterfly punch. Nothing fancy, but I like my customers to know I do appreciate them. Finally, an update on Laila. My blood pressure was still up at my doctor's appointment on Monday but no other signs of pre-eclampsia. I do keep adding in lots of new issues and am even having a bit of trouble walking around now because of all the pressure she's putting on my lower body. My doctor took pity on me and she is now scheduled to arrive on June 27th at 3pm. 11 more days!!!!! We are excited, scared, happy, nervous...just a mess of emotions. This pregnancy has been a rough one for me as the physical issues have caused some mental stress, but I know in the end it will all be worth it. I can't wait to meet our little girl! Since I'm still being a lazy pregnant lady, I used my leisure time to stamp again today. :) I did manage to fit a bit of laundry in there too, so at least I feel a bit productive. Growing a baby is hard work though, right?! 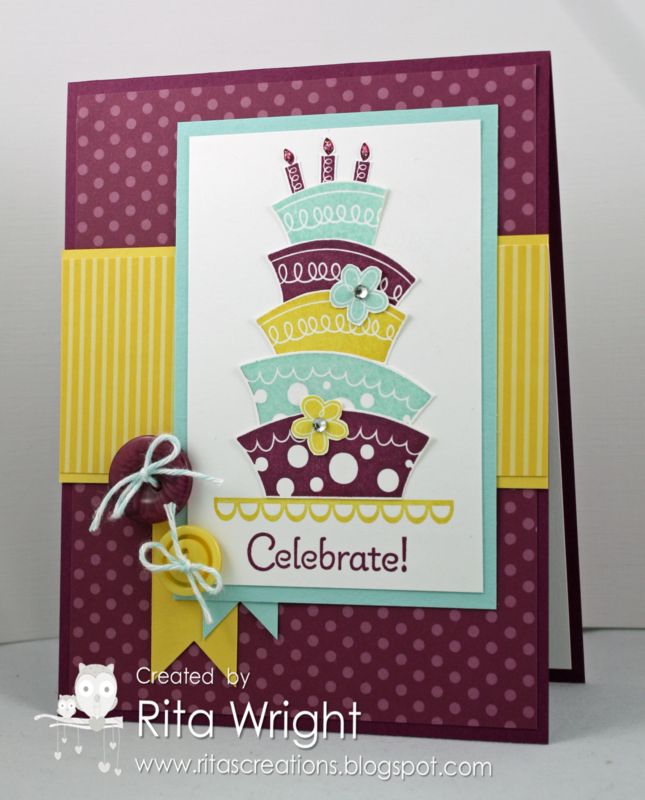 I decided to combine two fun challenges today, the awesome sketch at Try Stampin' on Tuesday with the awesome colors from colourQ. While I did order a few more new stamp sets, right now I'm enjoying the two I do have. So...it's Happy Hour again today! Don't you just love this stamp set? 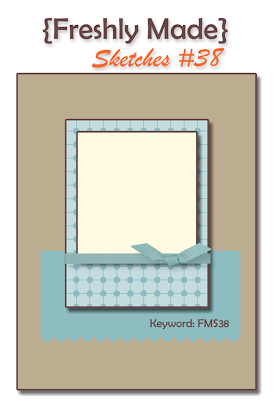 It's just so fun and perfect for summer cards! 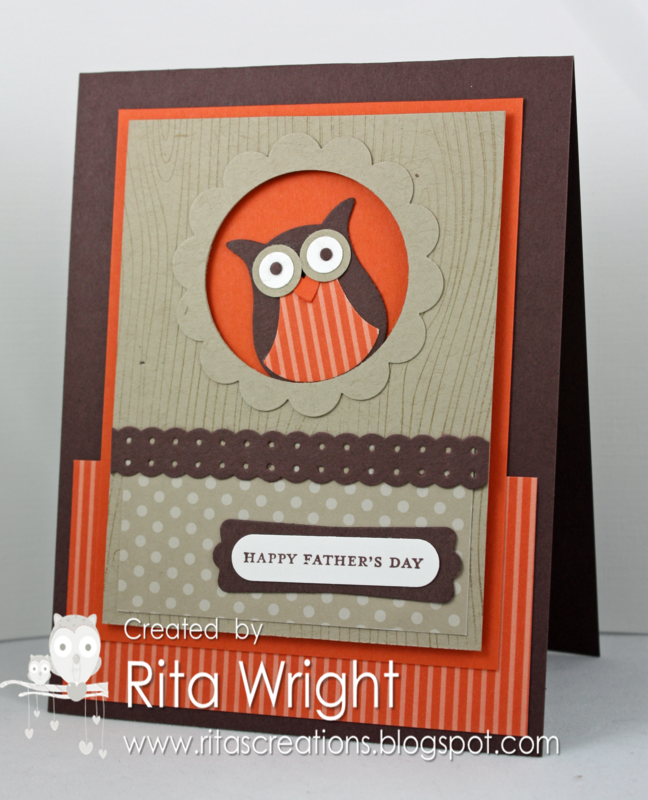 I added a few more new goodies to this card too, the Finishing Touches Edgelits and the Chevron embossing folder. I think it turned out great considering I struggled a bit with all the layers. Cheers! Today was one of those days, so I needed a little creative time to refresh my mind and relax. My doctor's appointment went okay, but with my blood pressure still being high it looks like Miss Laila will be here a week earlier than we'd planned. We should hear from them this week about changing our scheduled c-section to the week of the 25th instead of on July 2nd. So...I gotta stamp while I can! 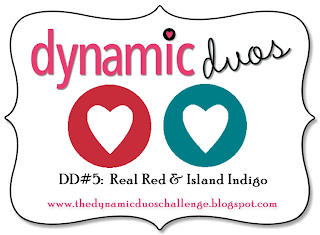 I wanted to play with the Dynamic Duos challenge this week and thought it might be fun paired with the Clean-and-Simple challenge on Splitcoast Stampers. I'm determined to get this CAS thing down! My first instinct with those colors was flowers, but I really am a bit tired of flowers. I decided to try something with Circle Circus instead. I think I'm one of the few people who like this set. :) It works great paired with Perfectly Penned too! I tried to do a bit of layering with the circles so that it wasn't so flat; a bit of dimension can add a lot! I'm still a bit unsure of all that white space, but hey, I'm trying! I found a bit of time to stamp today. Honestly, it's too hot to do much else! 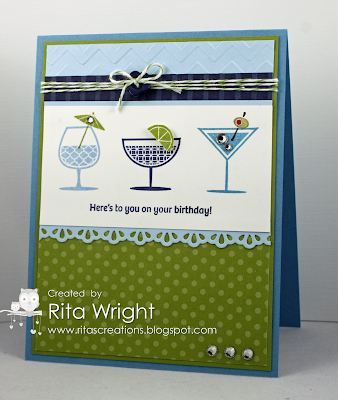 I broke a sweat just adding a bit of sponging to my card. 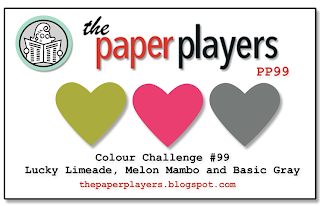 I saw this really cool sketch over at Card Patterns and decided to combine it with Lesley's awesome color challenge at The Paper Players. For this one I used more new goodies from my last order. The flower images are from a stamp set called Reason to Smile and will be a great promotion for July! Be sure to check back in July for the details on that; it will definitely make you smile. 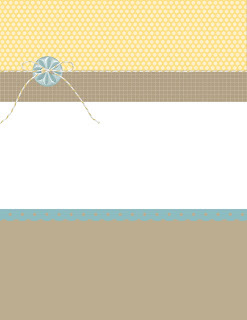 :) I also used the new Finishing Touches Edgelits for the cute little border on the Daffodil Delight layer. I just love these colors together! 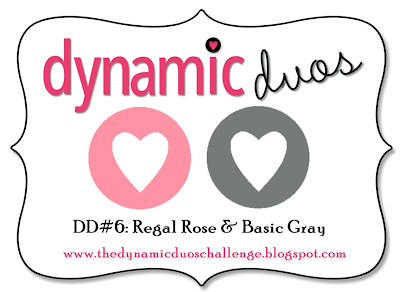 I've been wanting to play along with the Dynamic Duos challenge all week but kept waiting on my new designer paper! Once it got here the week got busy and of course I put it off. This morning I finally realized the deadline was today so I HAD to do it or miss out on the fun! 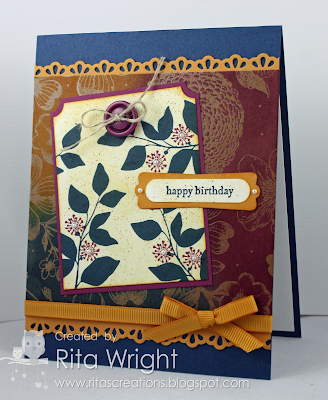 I decided to use my new stamp set (again!) 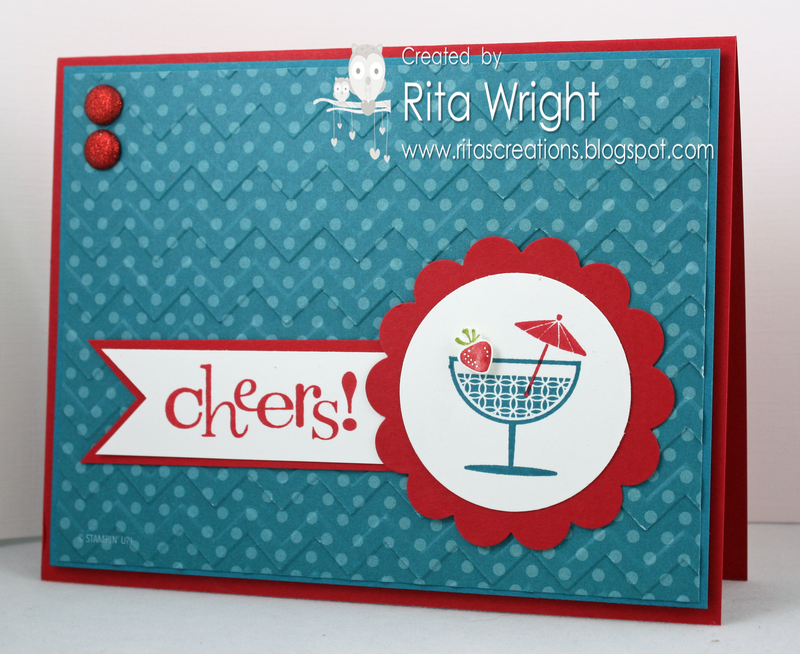 and a new embossing folder, the Chevron pattern! I think it's fun to emboss designer paper; it just adds some fun to it and fun is what Happy Hour is all about, right?! Aren't those colors great together? I'm normally terrified of color challenges but I'm trying to embrace them and gain some confidence in mixing them up. 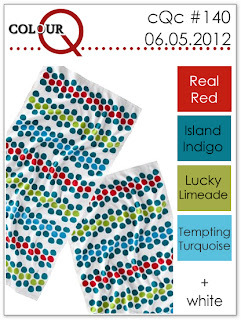 Island Indigo is one of my favorite colors for sure and red...well, who doesn't love red?! 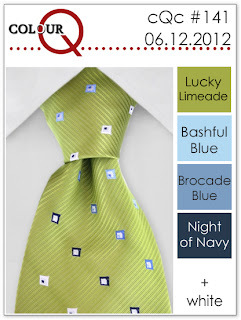 colourQ is one of my favorite challenge blogs because for me it is just that, a challenge! It always inspires me to try to use more than a couple of colors and a more clean-and-simple approach. 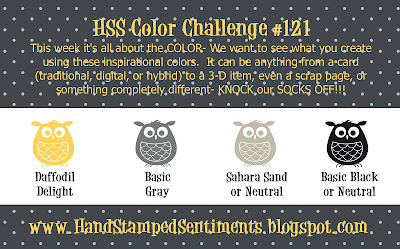 This week's challenge has some of my favorite colors, but I would never have thought to put them together! This month started my break from my design teams and I'm already missing them! I had another bad weekend of not feeling well though, so I was glad not to have the pressure of having to create something. I keep hoping these sinus headaches I'm having mean rain is in the forecast, but it's just been dry so far. Maybe I'm just allergic to the 95 degree temperatures? 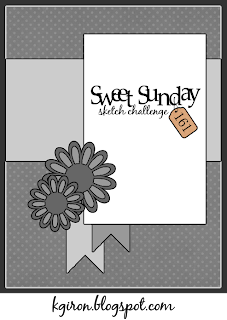 :) Anyway, I needed to finish up my preparations for stamp club that's happening on Friday night so I decided to use Linda's sketch at Freshly Made Sketches for our sketch card this month. Isn't it cute? 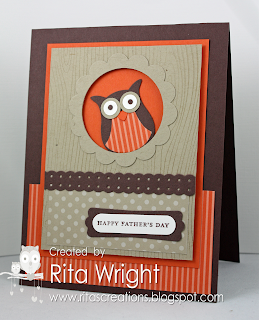 It's been a while since I've used my owl punch but I thought he was just perfect for a Father's Day card. I combined him with a masculine color combination of Chocolate Chip, Crumb Cake, and Tangerine Tango and left off any frilly ribbon or bling. Simple, but adorable! I hope my ladies enjoy making it! I hope you guys don't mind a post without pictures? As I woke up at 3:30am today and sat in the quiet calm of the house, I took a bit of time to reflect over this past week and over the past few years as well. I think many of you know my story, but for those who don't I thought I'd share part of it again. Before we go too far back, this past week has just been an amazing experience and really highlighted what Stampin' Up! means for me. I had a nice week as far as creativity goes; it has been a while since I could say that! It started last Sunday with a pick at the Paper Players, continued on to a top pick at Dynamic Duos, a card featured on the Splitcoast Stampers Facebook page, another pick yesterday at the Paper Players, and then the Featured Stamper spot in the Splitcoast challenge this week. That's not too shabby and made me feel better about my work. I don't always have a lot of self-confidence so those type of things help keep me going and trying harder. More importantly though, some of my wonderful friends that I've made through my demonstratorship surprised me with the most amazing blog hop that still makes me tear up even now. I admit that making friends doesn't come easy for me, but I love these ladies and all that they have brought to my life. Finally, two of my very dear customers/friends tracked me down and took me to lunch this week just because. To have local friends is a real blessing for me and without SU, I'm not sure that would be happening in my life! When I signed up as a demo almost 2 years ago, I didn't have hopes of it being very much. I was just lost and needed something. It had been almost a year and a half since we'd lost our five month old son, Eli, to spinal muscular atrophy and I was just drifting along. I was existing, but not really living. Starting a little business gave me something to focus on, something to take my mind off the grief and hurt that still hung over me like a dark cloud. I slowly started meeting customers along with some other demos online. I enjoyed creating with the great products I was selling and I think that started to show through in my work and interactions with customers. Slowly that creativity and those relationships helped me begin to heal. I now have a small club and a few other customers that I cherish and enjoy spending time with. I have fellow demonstrators all around the world who are treasured friends and sisters. I have a supportive, loving husband who never says a word about how many stamps I have and is always up for offering advice on each and every card I work on. Finally, I have my little girl who will be here in 4 weeks to bring sunshine back into our lives and our home. I feel like a very lucky woman right now to say the least. I'm really not sure I'd be here today without all that Stampin' Up! has brought into my life. Those dark days were bad, but stamping was the light that kept them from taking over. To each person who has brought a little ray of sunshine to my life over the past 2 years, I say thank you.